HowUTrade changed their profile picture. I want to modify BO sl orders. I found order id, parent order id and exchange order id in order book. Which order id should I use with "ModifyBOSl(OrderId, TrgPrice)" function. I tried with all the three order numbers but got errors like "Order is not a BO Stoploss order", "OrderId is not found". Please reply. which formula will help me to do the same. I am stuck.. stragy is candle open price is less or greater than certain level, then buy or sell. Looking for your help desperately..
please help to get ohlc 30 minutes for candle.. I want to get amibroker connected with kiteconnect. Please help. hi, I am not getting LTP from the RTD server in the cells, is there ant issue going with the RTD server ?? Hi , Facing issue in Kite XL , firing repeated orders please guide me how to fire single order at time.. 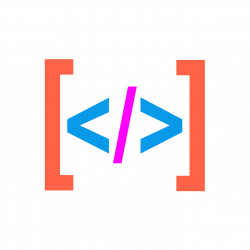 I have already installed dot net API for Upstox AND NOW would like to install dot net API for KITE as well. Kindly share if both could be installed on same machine and if both share same terminology for methods, events, properties. You can run KiteNet and UpstoxNet simultaneously in the same computer. ~99% of the Methods/Properties/Events are same in both DLL. 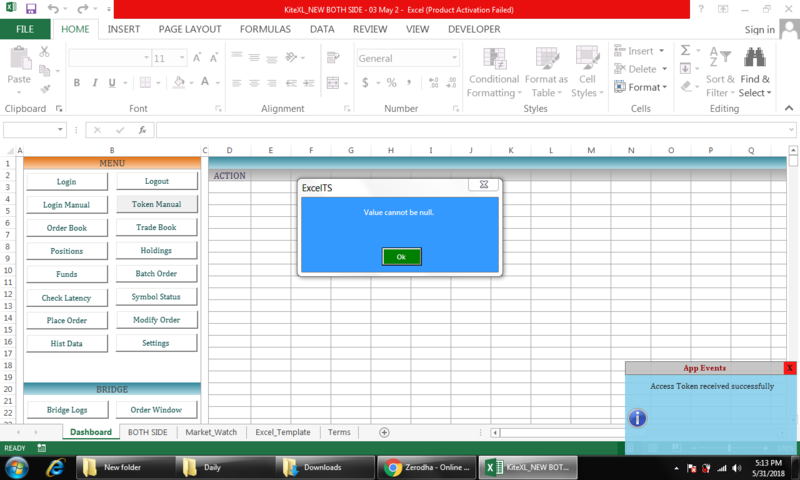 Hi, while login KiteXL, I am getting ExcelTS error as “Value cannot be null”. Can you please help me here? How Can I increase the limit for the number of securities to more than 500 ? I am okay with the quotes being delayed, I mainly use it for monitoring prices only. Also currently I am only able to view the price of SBIN, if I add any other security it says that maximum number of securities reached, try unsubscribing. Kindly let me know what I can do. I have downloaded the KiteNet file. I see the KiteXL file is a protected file. I cannot add additional rows or do some changes until it is unprotected. Can you let me know how do I unprotect the file, what is the password? It is protected through VBA (Check workbook module), you can remove it. I am using the kitxl, to place cover orders. i am able to successfully place cover orders, but while exiting a cover order, i am not able to do it, as i am unable to fetch parentorderid, to exit the co.
i can see the parentorderid, in the order book, after i update it, but its difficult for me, to fetch it from there, and then use it to exitco function, as per my sell triggers. please help me out with it.